Today’s reading provides us a picture of a key theme of God’s redemptive plan. When God announces that Abram’s name would become Abraham, God was not just changing a person’s name. He was reshaping the future of Abraham and revealing eternal purposes that would begin to unfold from that point forward. This was not only true of Abraham, but for his wife Sarai, who now became Sarah. The tragic world that so many children live in throughout Latin America and the Caribbean is filled with events and situations that rob children of their God breathed human dignity. 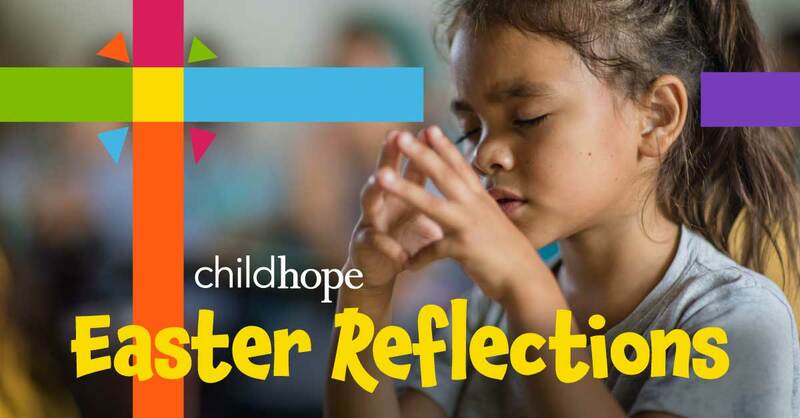 A ChildHope school is like a neon sign that shines in the darkness and shows children that their name is not loser or stupid or victim. They are children made in the image of God with God-given dignity. They are valued by God so much that He sent his only Son to die for them. Just like Abram and Sarai, God’s declaration can give each child a new and hope-filled future. Prayer: Oh God, I am so grateful that you call me by my name and even now are filling my future with eternal life! 1When Abram was ninety-nine years old the Lord appeared to Abram and said to him, “I am God Almighty; walk before me, and be blameless, 2 that I may make my covenant between me and you, and may multiply you greatly.” 3 Then Abram fell on his face. And God said to him, 4 “Behold, my covenant is with you, and you shall be the father of a multitude of nations. 5 No longer shall your name be called Abram, but your name shall be Abraham, for I have made you the father of a multitude of nations. 6 I will make you exceedingly fruitful, and I will make you into nations, and kings shall come from you. 7 And I will establish my covenant between me and you and your offspring after you throughout their generations for an everlasting covenant, to be God to you and to your offspring after you.